Lee Probert is set to referee Newcastle United's FA Cup visit to Blackburn Rovers this evening - days after his Stadium of Light controversy. The 46-year-old, a Premier League accredited referee since 2007, was assigned to Sunderland's top-of-the-table clash with Luton Town in League One, which ended in a 1-1 draw. 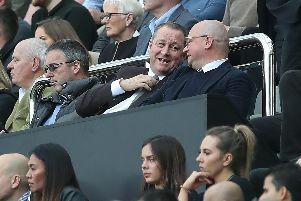 However, his 12-years worth of experience at the top level was questioned on Saturday as Black Cats boss Jack Ross felt he got some big decisions wrong. Probert awarded a debatable penalty to Luton following Tom Flanagan's challenge on Danny Hylton before Hatters' striker and Cats winger Chris Maguire saw red in the closing 20 minutes. Ross suggested their was a foul on Maguire in a build-up to the visitors' equaliser from the penalty spot and believes neither deserved to be a red card. "I don’t think either of them were a red card," said the Sunderland boss. "I don’t think Danny Hylton’s was a red, if anything I thought the challenge that James Collins was later cautioned for was worse. "I’m not saying he should have been sent off, I just thought Hylton should have been cautioned. "Chris Maguire, the fourth official tells me he was sent off for a stamp, which he didn’t do. "The penalty kick was debatable but there is a foul on Maguire in the build up that is a free-kick." Probert is no stranger to Newcastle matches this term having refereed them on two occasions so far. The South Gloucestershire official oversaw the Magpies' 2-1 home defeat to Arsenal in September before returning to St James's Park a month later. On that occasion, Rafa Benitez's side grabbed their second win of the season - their last win at on home soil since - over AFC Bournemouth. And Benitez and co were perhaps a bit fortunate too, as Probert, dismissed a Cherries penalty appeal following a contentious tackle from Federico Fernandez on David Brooks.